Without a doubt, the single most informative piece of advice in my formative years came from my uncle. 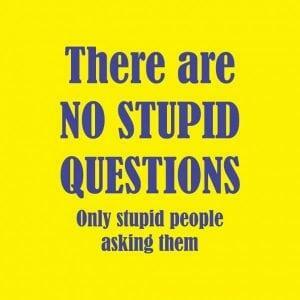 Ironically, it came from asking dumb questions. 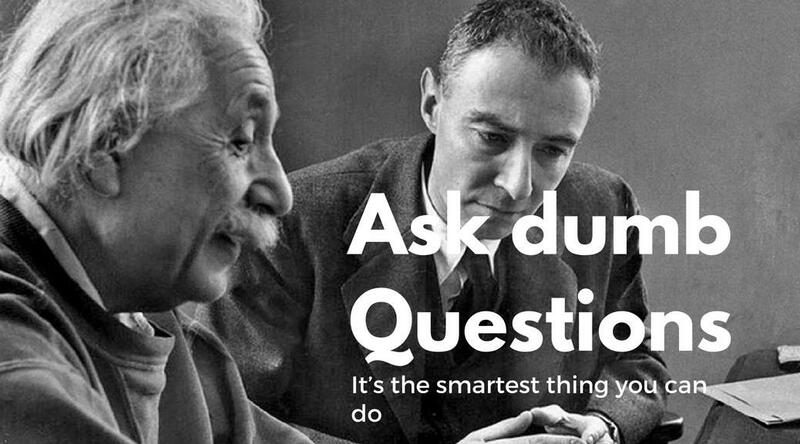 In this blog I’m going to talk about asking dumb questions and why they are critical for your personal development and that of your startup. My uncle was the smartest person I knew growing up. As a 10-year-old, being picked up from boarding school in a convertible BMW with a different Swedish blond bearing exotic candy was also a plus (WTF, is up with salted liquorice though!). I was never terribly interested in what teachers wanted me to learn, I was however intent on getting smarter. During my first internship, I was invited to a dinner party with another super-nerd friend of my uncle. This gent proceeded to take it upon himself to make every topic of conversation, seem like torture to me, prima facie. game with me; he wanted to push me to see how smart I was. He also would disagree with everything I said, despite the fact not believing in his specious line of questioning. Wow. The notion of paying such games was an epiphany to me; the thought never had crossed my mind. Much to the chagrin of acquaintances I have adopted this habit to amuse myself. Not that it is terribly ingratiating (sorry). That is clearly my paraphrase after several bottles of wine and post the commencement of whiskey, more than a decade ago, but the sentiment has persisted into forming an element of my personality. Investors know a little about some things and pretend to know a lot about everything. The difference between the good and great is the ability to ask the right questions to arrive at a cohesive investment thesis, on the basis of available information, at the time a decision is made. asking, what I hope, are the right questions. I know what I don’t know, that I don’t know, and am not ashamed of it. 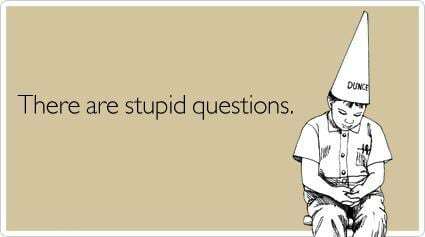 I am not embarrassed by asking ‘dumb questions,’ because if I don’t understand, I know 99% of other people won’t get it either. Founders need to sell their message not to just investors, but customers, journalists, potential and existing staff (continually justifying they don’t go to Google) and all other stakeholders. So my backstop rationalisation, is it’s the founder’s problem, not mine if I come across a bit dim 😉 At least that’s what I tell myself. “lol. glad you asked. Maybe I want to work with you now. Explain what you do to a 10-year-old. with the attention span a 10-year-old has. or better, I am Mark Z. you are in a lift and have 15 seconds to explain what you do to me to MAKE SURE I have a meeting with you. What would you say? That strips away all the BS you want to say. Strip to the absolute core. Why is this cool. who do you focus on. Why you will be big. You can google too about this. So many people coast through their life on artfully crafting a persona of not being perceived as stupid. A three-hour meeting can go by, which ends with a rhetorical; “does anyone have any questions?” If a meeting ends like that, shoot yourself. The meeting should face a forced end due to too many questions! As my uncle said, there are people in the room that are glad you asked, as they were too fearful to ask themselves. I have found once the first person asks a question everyone else in the room starts asking too like I broke the ice. I half expect ‘the boss’ to pat me on the back and thank me for getting things going. are arguably more thoughtful, then feel more confident to chime into a debate. This is a great thing; you want everyone to contribute to making better decisions. As I address later, there is such thing as dumb questions (how and when you ask), but not asking them is generally stupider. Asking a question makes you a little naked, clearly revealing something you don’t know or understand. If that’s something you are eager to know, asking indeed might make you look dumb (if asked wrong). But if you ask the question, you now know that thing and have eliminated some of your ignorance. If you don’t ask it, sure, you don’t reveal your ignorance, but now you still don’t know. On one hand, you look dumb, but become smarter, on the other hand, you stay dumb, but keep it hidden. The question is whether you care more about being smart or looking smart. So, what is better, show a little dumbness today or be a super dumbo tomorrow? Dallas Cowboys owner Jerry Jones recently confessed that he was most effective early in his tenure “when I didn’t mind sounding stupid” asking questions. Clearly, he learned a lot. Also, not he said he asked a lot early in his tenure, not a year later. Treat every conversation as a learning opportunity. There is so much to learn in life that you need to keep learning and getting smarter. I love the quote “get busy living or get busy dying.” Apply the same to learning. Tomorrow you will have something new to learn. You aren’t going to have the same opportunity to ask your question. In fact, you may be talking to an expert and that doesn’t happen every day. How great is it to learn something you can’t Google. Trust me, there is a lot you can’t Google. People love attention. They want to feel they are being listened to. A lot of relationships arguably end, as one does not feel listened to. Summarizing what someone said and asking if you understood his or her point is a great way to show this. 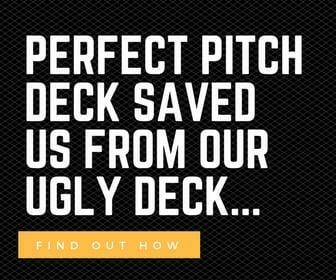 Asking a pointed question, leveraging the content shared shows you listened, thought about it and is eager to know more. You want to listen even more. Smart people ask questions. They ask a lot of questions. It shows you are always thinking and paying attention to what people say. 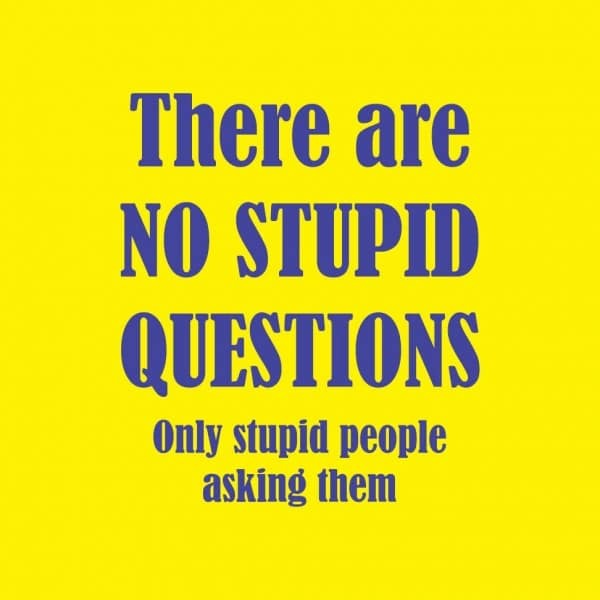 If you are dealing with smart people it is expected that you ask questions. You can start with dumb questions but work your way up to smart questions. You climb a mountain from the bottom. You can’t comprehend the more complicated questions till you understand the fundamentals. Is a tomato a fruit or a vegetable? If you are discussing fruit, if you don’t ask the dumb question of categorization you may come to an erroneous conclusion. You can learn a lot from dumb questions- how do you know if you are talking about the same thing? I often learn more by answering such questions than more seemingly “smart” questions. The “stupid” ones force me to really dig into my prejudices and assumptions. Most questions deepen when you progressively examine each word and phrase in them and consider their underlying assumptions. This process tends to reveal hidden ambiguity. What formerly seemed obvious may now be more complex and nuanced than first thought. You may be on a totally different plane of comprehension with other persons. Dumb questions help you relate on a level that you understand. I don’t understand adtech, but I can ask simple questions that help me to frame a startup in a framework I do understand. My questions may be dumb to the other person, but hopefully, they understand why I am asking. We are not able to have an intelligible conversation if we can’t get on the same page. I had a chat with a chap in AI. I am upfront that I don’t understand, in fact, I say it. 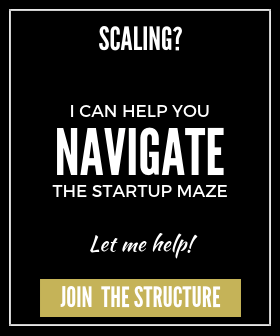 ‘You’re the expert not me, but to help you figure out how much to raise I need to understand the dynamics of your industry.’ The founder doesn’t mind that I don’t know and possibly appreciates my effort to get up to speed. It is a scary place when you don’t ask basic questions and people tear off in different directions without a fundamental agreement. You need to ask to ensure you are on track together. Asking dumb questions about how to solve a basic problem can save you an incredible amount of time. This is a great video on the topic based off Harvard research. A dumb question is a matter of perspective. What may be an unreasonable question to one may arise at the highest curiosity level of someone else, might not be out of the box for another, and be a serious question. Clearly, a person’s state of mind and their age and experience are important factors to level. The expectation from a child and an adult make this difference in expectation most evident. feedback? But if you ask what accounting is, how to open Excel so you can do the accounting, or ask your boss why you are the one who has to do the accounting, these are all dumb questions. Why? 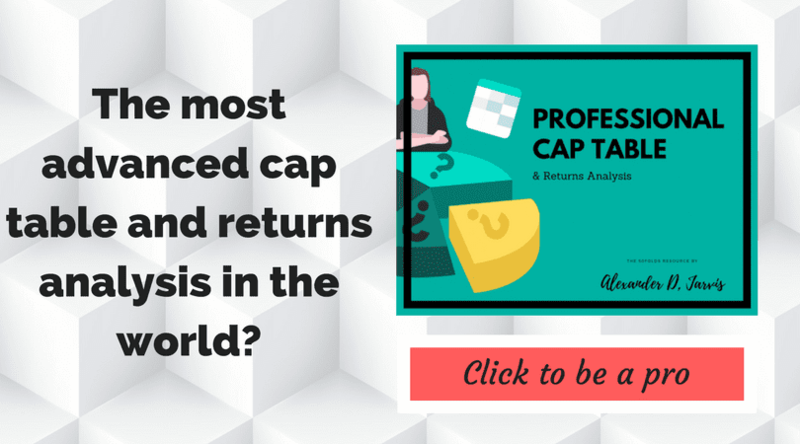 You can Google accounting later if you don’t need to understand the concept during the conversation, it is expected if you are going to do accounting you would know how to open Excel and if you are an accountant that’s your job. So the content and timing of a question can make you look dumb and whilst your question may be sincere, there are dumb ways of asking questions. 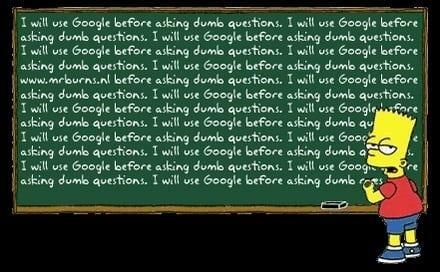 Use Google for questions you can Google: Write the easy ones for later if you don’t know. Better yet Google whilst you are talking to people (if you can). If you are asked to do a complete task like set up a CRM, use the time to Google the basics and then be more informed to ask more meaningful questions at a later point. Ask specific not broad questions: It’s better to ask how do you want the schema to work rather than what is Salesforce. Don’t ask what is Salesforce or “what should I do?” Better to say this is what my plan is; can you give me some feedback if I am approaching this right? Observe first and then ask: You may find the question you want to ask will be asked by someone else, or eventually explained contextually. Just don’t wait till the topic of conversation changes. Asking later could be tricky and you lose the opportunity to understand the conversation. Repeat a point and ask for an example: Don’t ask for clarity through details, ask for details that clarify. “Could you give me an example?” is a great stock question when you are worried about looking dumb. Think before you ask: The obvious answer or question is often not the best one. Read this great article from the New Yorker. “In a lake, there is a patch of lily pads. Every day, the patch doubles in size. If it takes 48 days for the patch to cover the entire lake, how long would it take for the patch to cover half of the lake?” I always played lateral thinking games with my family. I took this up a notch when I fancied the idea of working at one of the big 3 consultants and studied complex questions. 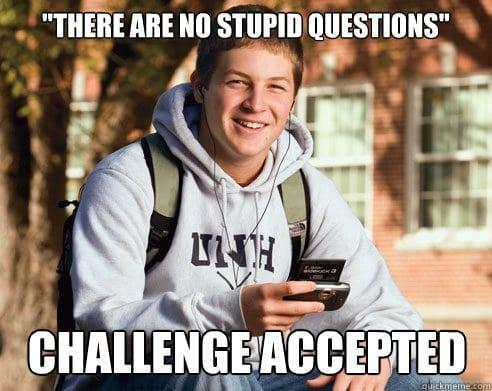 Over time I learned to not answer quickly and assume my first answer was wrong. It often is. I learned to think more and if I wasn’t clear to ask more questions. Ask dumb questions to challenge your assumptions before giving a dumb answer, which is way worse. “Mine was the Depression generation of journalists. Many of the best people were not educated. When I went to London as a sportswriter, I didn’t even know the difference between the Baltic states and the Balkans. But I learned the advantage of the dumb-boy technique. I found that people love to talk about themselves. You get more news by trust than by tricks. of the great ways to change that, in addition to Googling everything you don’t get. Near the start, I mentioned the founder who shared his candidness. I appreciated that he asked a dumb question because I knew he didn’t understand fundraising, no one really does. But most don’t ask questions to get smarter faster. I like that. I also told him it is ok to Google. He was worried he would learn something and thinks in the wrong way, opposed to figuring out an answer himself. That’s an eminent opinion but fallacious. It’s almost always better to stand on the shoulders of others that have thought about a common question and hack forward. In this case, he should have Googled first- he would have gotten better insight than a quick response from me. Was his question dumb? Yes, a little. But he is going to get ahead because he is learning. Do the same. Be dumb. Get smarter. Win.